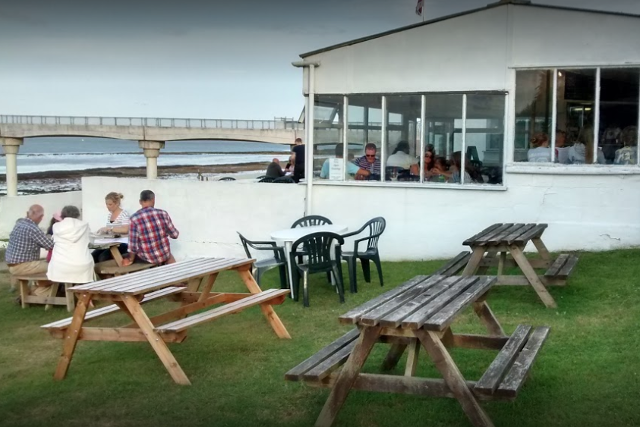 Plans to replace a popular seafront cafe with a food van have been withdrawn, following hundreds of objections to the plans. The Lifeboat View Cafe in Bembridge was demolished last September with a view to building a smaller cafe on the same site. Almost 900 comments were lodged against plans for a house extension and permission to place a food van and small kiosk at Lane End. The site was formerly flats — now converted into a single property — with a cafe at the front and a large outdoor seating area. However, in February, owner Debbie Potts applied for permission to extend the house and build a boathouse on the site. Separate plans were lodged for a food van and small kiosk on the site earmarked for the replacement cafe — raising fears from residents it would never be built. The plans to build the boathouse were withdrawn on 1st March and the plans for the food kiosk have now also been withdrawn. “I received an e-mail yesterday from the planning agent, Paul Stack, confirming the withdrawal of the application. Hundreds of tourists and residents had commented on both plans, registering their objections to the potential loss of the seafront cafe. “The cafe which was demolished was an important tourism asset. The nearest alternative beach cafe is the Beach Hut which is 1km distant. “Tens of thousands of visitors annually visit the RNLI station adjacent to the site, Bembridge Coast Hotel with a similar number of visitors is only 400 metres away. Lane End beach itself is a popular tourist destination, and the site is immediately adjacent to the coastal footpath.